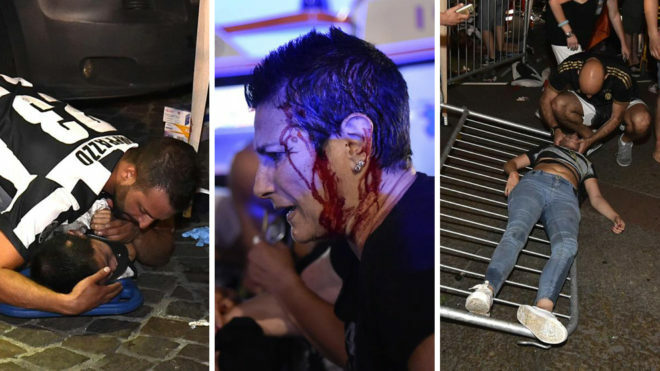 A stampede caused by a false bomb scare in Turin has left more than 1,400 people injured, seven of them seriously, including a seven-year-old boy who was trampled. 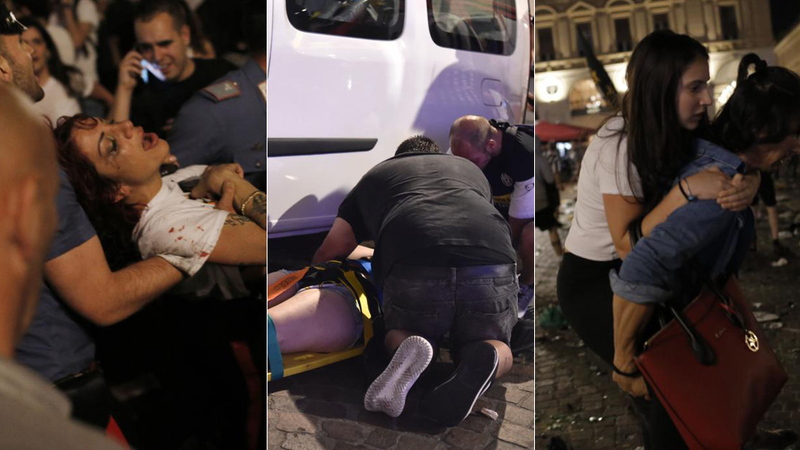 30,000 Juventus fans were packed into the Piazza San Carlo in the city to watch their team take on Real Madrid in the Champions League final when a loud bang from a firecracker was mistaken for an explosion and panic ensued as people fled. A sprawl of shoes, beer bottles and bags was left behind, while many were separated from their friends and family – until the police set up an information point to help reunite them. Chiara Appendino, the city’s mayor, returned from watching the match in Cardiff to hold a meeting with police, Sunday morning. She was then scheduled to visit one of the victims in hospital, a seven-year-old boy, who is said to be in a condition which is serious but stable.